At South Jersey Driving School, we offer driver education to help keep you safe and confident on the road. Whether you’re a first-time driver or you’ve been driving for a while, we have a variety of courses that will help you become more comfortable and knowledgeable behind the wheel. Below is a list of the classes we currently offer. Behind-the-Wheel driving lessons are available to first-time drivers — whether you’re 16 years old or you’re an adult. The course includes six hours of driving lessons, split into three sessions of 2 hours each. 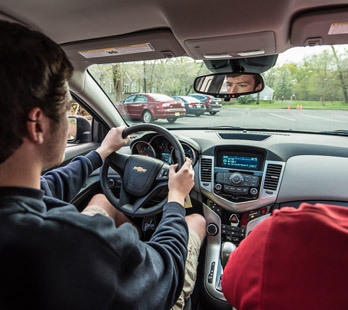 Upon successful completion of a minimum 6-hour behind-the-wheel course, the student driver will be able to practice driving with someone who has had a NJ driver’s license for three years and is at least 21 years of age. A “Certified Trained Driver” certificate, to be given to the student’s insurance company for an insurance discount, will also be presented to the student on the final lesson. If you already have your permit, great! If not, we easily can help you get it. Do you need help preparing for your NJ road test? Or do you just want to refresh your behind the wheel driving skills? South Jersey Driving School can help! We offer a 2 hour lesson that will help you brush up. We’ll review parallel parking, K-turns, and give you some tips on how to pass the test. Don’t hesitate. It’s a great way to boost your confidence! Click here to purchase a review lesson for $130. Are you having trouble passing the New Jersey driving knowledge written test? Or could you just use a bit of extra help preparing? We offer a classroom tutoring session that will help you do your best on the state’s 50 question test. During the one and a half hour class, we will review the NJ Driver Manual, chapter by chapter, and answer any questions you might have. There is a very high success rate of passing after taking the test prep class! The cost for this course is $50. Please contact us to register. South Jersey Driving School provides a top notch, professional NJ Road Test Service for our current students or anyone who needs us. Our NJ Road Test Service includes picking you up at your home or school and taking you to the scheduled location of your test. Please click on links below for more detailed information. An appointment for your road test is made by the Motor Vehicle Commission (MVC) at the time they validate your permit. This appointment will be hand-written on the bottom or back portion of your permit. If you are between 16 and 16 ½ years old, your road test will be scheduled on or near your 17th birthday. If you are older than 16 ½ at the time you finish your lessons, check your permit for the scheduled date. Road test appointments are scheduled at the Cherry Hill Test Center, located at the Motor Vehicle inspection station, 617 Hampton Road, Cherry Hill, 08002 or the Delanco Test Center, 400 Creek Road, Delanco, 08075. South Jersey Driving School offers a road test service for high school students. The fee is CASH ONLY, payable the day of the road test. The road test service includes pick up at home or school and taking you to your road test. 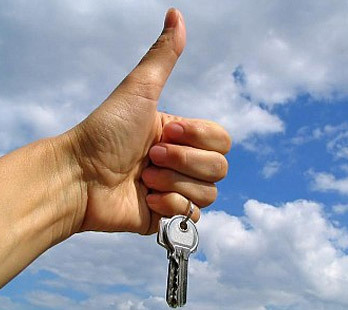 If you pass your test, we will also take you to a Motor Vehicle agency to apply for your license. 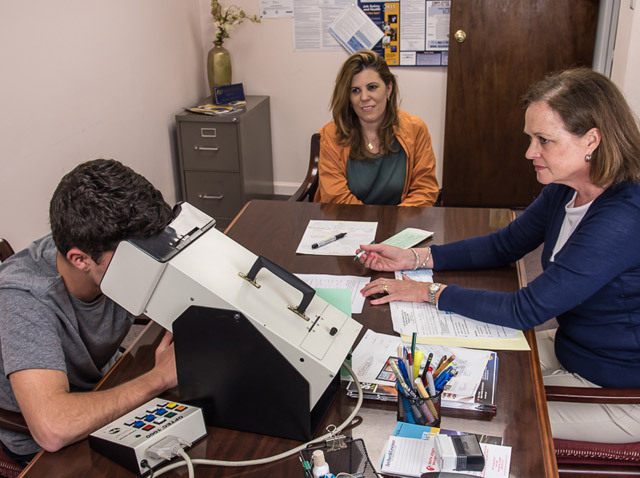 When a student goes for a road test, whether it’s with South Jersey Driving School or on their own, he/she will need to show their permit and original, civil birth certificate or valid U.S. passport. The MVC will not give a road test without these important documents. Then, to apply for a license, additional ID is required. Please see the 6 Point ID Verification Program brochure. Please note: If you plan on NOT using our road test service, and prefer to use your own car, be sure that car has an emergency brake in the center console, as well as the red decals on your front and rear license plates. Tinted windows are unacceptable. If you want to take advantage of our road test service, just let us know and we will call you the evening before your test and make the arrangements for pick-up location and time. Also, feel free to call us as it gets close to your road test date to confirm that you are going with us, if that’s what you’ve decided. * Road Test Service does not include a driving lesson. An appointment for your road test was made, or will be made, by the Motor Vehicle Commission at the time they validate your permit. 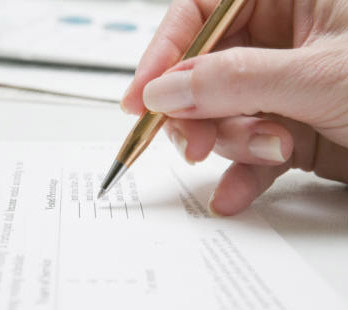 This appointment is hand-written on the back or bottom of your permit. South Jersey Driving School offers a road test service at the Cherry Hill Test Center or the Delanco Test Center. The road test service includes picking you up at your home and taking you to your road test appointment in our car. If you pass your test, we will go to the motor vehicle agency to apply for and pick up your license. From there, we will take you back home, to work or to school, depending on location. PLEASE NOTE: This service does not include a lesson. When you go for your road test, whether it’s with South Jersey Driving School or on your own, you will need to have proper identification. Please follow the 6-Point ID Verification Program. Please refer to the MVC website or the 6-Point brochure available at any Motor Vehicle Office. This information is also on Page 9 of the NJ Driver Manual. If you want to take advantage of our road test service, please call our office or let your instructor know. We will call you the evening before your test and make the arrangements. Also, feel free to call us as it gets close to your road test to confirm that you are going with us, if that’s what you’ve decided. If you have any questions, please call. If we’re not in the office, we will call you back. Just leave a message with your name, phone number and road test date, location and time. Keep practice driving! 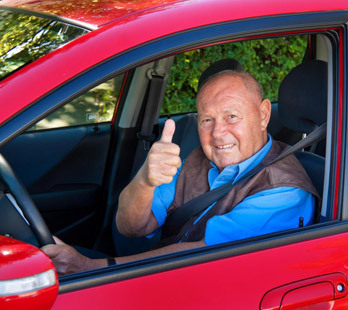 Are you a senior citizen who needs to be evaluated for an upcoming New Jersey driver license re-test? Or do you just want us to let you know how you’re doing with your driving? We can give you an honest evaluation of your current driving skills. Contact us to register. We look forward to hearing from you! Have you always wanted to learn how to drive a manual transmission (stick shift) car? Ask about how you can learn in our Chevy Camaro! 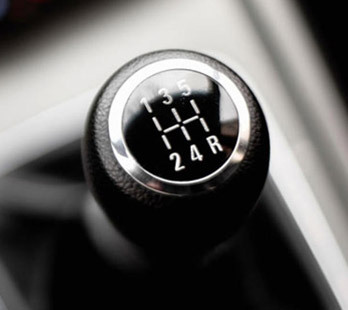 Our 1 hour and 45 minute lesson will teach you how to shift gears using a clutch. If you need to learn for your job, because your family has a stick shift car or because you’ve just always wanted to learn, we’re here to help! At South Jersey Driving School, we take pride in our students’ success. We do our best to provide quality driver education and keep the process as simple and pleasant as possible. We’ve had so many happy, successful students…we were voted the Best Driving School in Burlington County — thank you! I wanted to thank you all. From my first initial phone call with Tony to an informative sit down with MaryBeth, your driving school is top notch. The level of comfort you have given me and my daughter is great. The instructor, Mark, was also great with constructive , positive comments which put my daughter's mind at ease and gave her the confidence to take control of her driving. Your school is a must for any new driver. You are all making a difference in teenagers' lives. Kudos! "Everything was great. Sam felt very comfortable with his instructors. It was a great experience." Thanks again to you and your staff for helping my mother keep her license. Your instructor, Mike, was wonderful. If my family, or anybody else, needs driving instructions, I will definitely recommend your company. I just wanted to thank MaryBeth, Tony and George for the outstanding service we received this week. The refresher lesson was great, and my daughter was well prepared for her test today. The transport to the test, and guidance she received, were invaluable. She felt confident and relaxed, which I believe made a huge difference in her test. I will be sure to recommended your business in the future. You will be seeing us again in two years when it's my son's turn! Thanks again!! Mike had a terrific experience with South Jersey Driving School. He thought both of his instructors were thorough and patient. Thanks for taking such good care of him and making this a pleasant experience. I was so impressed with the instructors, as well as the owners and the office staff. They truly showed a personal interest in my daughter from the moment we walked in the door. Instructors George and Sean were amazing, and always offered positive reinforcement while effectively communicating what she needed to improve. I highly recommend this school to anyone who wants their teenager to learn to drive with safety as their first priority. I wanted to thank you very much for working with our youngest son, Austin, as he begins preparations to acquire his drivers license. I really appreciate your company's professionalism. Your drivers, George and Mike, were outstanding, and the treatment we received from you and your office staff was superior as well. My wife and I were particularly appreciative of how you were so willing to answer all of our questions and concerns. Austin is the third of our children to utilize your company, and we have returned because of the great job you have done with our other two daughters. Please feel free to have any of your potential clients reach out to us, if needed. My son took the “Written Test Prep” because he attends a private school that does not offer Driver’s Ed. This class was wonderful and Tony is a great instructor. There is no way my son could have studied the manual and passed the test, but by taking the class he was able to. Not only did he pass the test, but he got a 92 on it! He is now scheduled for his behind-the-wheel classes and is on his way to independence. I highly recommend the Written Test Prep class for anyone struggling to pass the written test or who has not had driver’s ed. in school. It is a well spent hour and a half.